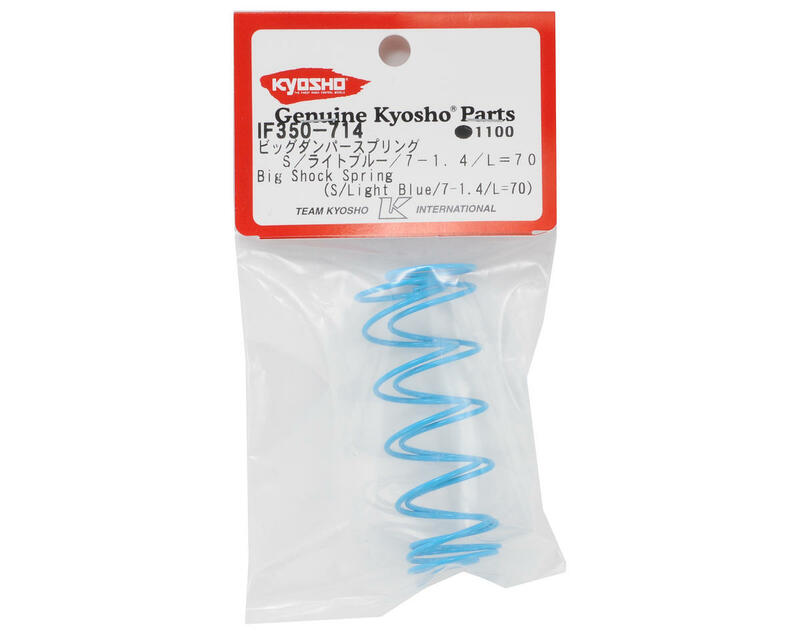 This is a set of optional Kyosho 70mm Big Bore Front Shock Springs, and are intended for use with the Kyosho MP9 1/8 scale buggy. These springs are made with a smaller 1.4 diameter wire, compared to the original springs that used 1.6 wire. 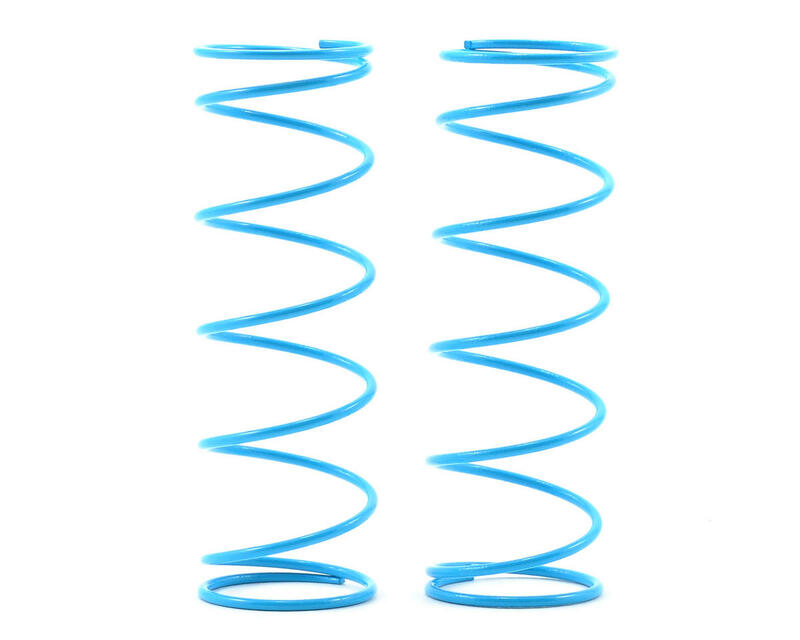 These springs also have a lower turn count than the older big bore shock springs, which allows the spring to be lighter than the previous shock springs.